This manual is devoted to the description of the simplest procedure for bird census in the nesting season, based on the sounds of singing males. It contains the general scheme of field studies, including choice and laying of the census route, technique for bird census and methods to present the results of studies. Bird census is one of the most popular themes for students’ independent research in nature, especially in spring and summer. Singing birds can be found in any geographical region and in any biotope in spring. It is easier to count birds during this season, as most of them stick to set areas according to the location of their nesting grounds. The singing of birds is also caused by nesting. Let us remember that singing is characteristic only of males as they perform a typical song characteristic of the species. In this way they indicate an occupied nesting place and, at the initial stage of nesting, they attract a female for reproduction. 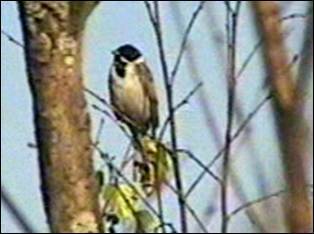 The presence of a singing male within the specific site does not mean that there definitely a nest. Many bird species are characterized by the fact that some males can spend the whole summer being single. At the same time, other species (or the same species but under different conditions, for instance, at other numbers or in the other part of the species range), one male can have several females (and, correspondingly, several nests) within its territory. Students should also have in mind that the presence of a female and the nest (with eggs or nestlings) does not exclude a singing male: it continues to mark its territory until the end of the nesting season, until the moment when nestlings leave their parents’ nest. Birdsong should not be mistaken with other sounds made by birds. They include calls (indication of presence), signals of danger and other signals of intersexual and parental communication. Many skills are necessary to conduct a bird census during the nesting season in order to determine the density of bird populations. Students should be able to determine birds by their appearance and voices. They should also master the census procedure, i.e. they should know how to measure the distance covered, how to measure the width of the census band or distance to the bird, and finally they should be able to describe the biotopes where the census takes place. All these skills require mastery over a rather long period of time. A procedure for a route bird census was already used in one of the fall lessons in the course of carrying out the research (lesson #7). The fall census was not difficult in terms of bird species determination due to relatively low species diversity. However, it was a rather full-value research in terms of bird census techniques and that will help us to conduct a census for the present lesson. At the following spring lesson (Lesson #9) the task is even more complicated: students will be given the task to conduct a census based on singing males according to different procedures, including all the above-mentioned census techniques. Thus, this lesson widens the skills that students gained during the fall lesson, and it will prepare students for conducting the following research. This research consists of repeated census of singing males belonging to different bird species that is carried out in the course of a day along a relatively short route in the vicinity of the school or field studies center. None of the following factors has principal significance: composition of vegetation along the route, length of the route, weather conditions and even qualifications of students in the course of the given research. It is important that censuses should be carried out along a strictly constant route and even by the same students. Conducting censuses does not require special equipment, except for field glasses. Students will need only a field diary and a knowledge of birds’ voices (it is possible to use field guides).